NetGalley+ is a new way for all authors to join NetGalley the #1 service in the world for getting reviewers on Amazon. There are over 360,000+ reviewers on NetGalley. All are pre-approve! Many are librarians, top Amazon reviewers, and influential bloggers. Our BooksGoSocial NetGalley+ service allows you to get on NetGalley for one month or longer. It also includes promotion of your book page on NetGalley to our huge 761,624+ followers on Twitter. This means that your book will be in great company, alongside books by the largest traditional publishers in the world, and it will also be promoted to a huge social media following who are interested in reading, to ensure it is seen. 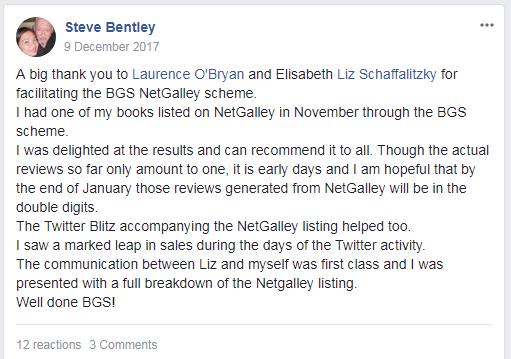 What Are The Benefits Of NetGalley+? 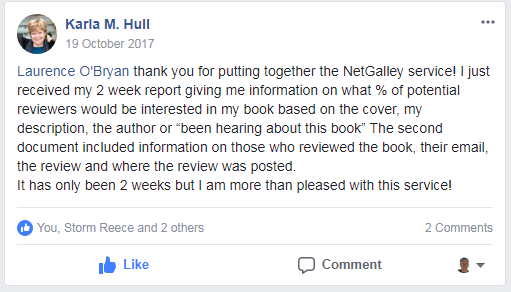 For Authors NetGalley+ is a cost-effective way to reach a growing community of professional readers (media, reviewers, booksellers, librarians, bloggers and educators,) who can read, review and recommend your title(s). Reviews on Amazon are critical to the success of your book. Do not overlook this important step. 1. You can use the link we provide you with to invite your own contacts to view your title on NetGalley. The link provides a direct, pre-approved link to view your title(s) on NetGalley, in a variety of secure reading options. The link is a primary tool publishers and authors are using to put their digital galleys in the hands of influencers and recommenders before and after publication. 2. Titles are available for existing and new NetGalley members to read immediately, increasing your chances of receiving reviews quickly. We pre-approve all requests. And you will receive the email address for each request. 3. Members can provide Feedback about your title through NetGalley too, as well as on Amazon. This can include star ratings, a review, and information about how the member will recommend or promote the title. 4.Members can also “add you as a favorite” to aid in their browsing. They also provide feedback on your cover and your book description. Note: the membership community is not personally vetted by NetGalley or BooksGoSocial. BooksGoSocial is an official partner of NetGalley. Digital galleys can be read on all major reading devices and tablets and are protected files that cannot be shared. For more data on our results with NetGalley and the 2,500+ reader reviews on Amazon generated click here. Promotion on Twitter to 761,624, daily for 1 week, and on Facebook to 15,000+ in our Reader Group. The site and brand is owned by Advanced Social Media Services LTD, a company registered in Ireland #552165. The NetGalley brand is owned by the NetGalley Corporation. BooksGoSocial is an official NetGalley partner.